Bulgaria has been developing steadily as a four-season tourist destination and over the last years record-breaking results have been achieved. 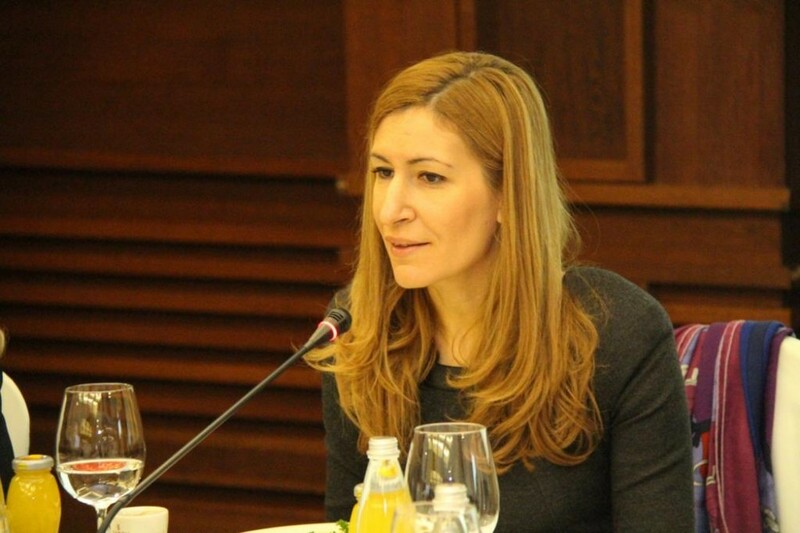 This is what the Minister of Tourism Nikolina Angelkova said at her traditional meeting with the foreign diplomats in Bulgaria. She gave information about the statistics in our country and the number of visitors from the leading inbound markets. The top five countries are Romania, Greece, Germany, Turkey and Russia. During the first ten months of the year 2018, Bulgaria was visited by over 8,4 million foreign tourists, which marks a 5% growth compared to the same period of the previous year. The revenues derived from international tourism are growing at an even greater rate, she said. They amount to 3,2 billion Euros for the period January-September 2018, which is a 7% increase compared to the same period of the previous year. Minister Angelkova also stressed that in summer, the foreign tourist visits to our country exceeded 5.4 million and this is the most successful season so far. We expect these record data to be further supplemented by the new winter season, which will be opened on 15th December and for which a 5% growth of the number of tourists has been prognosticated. 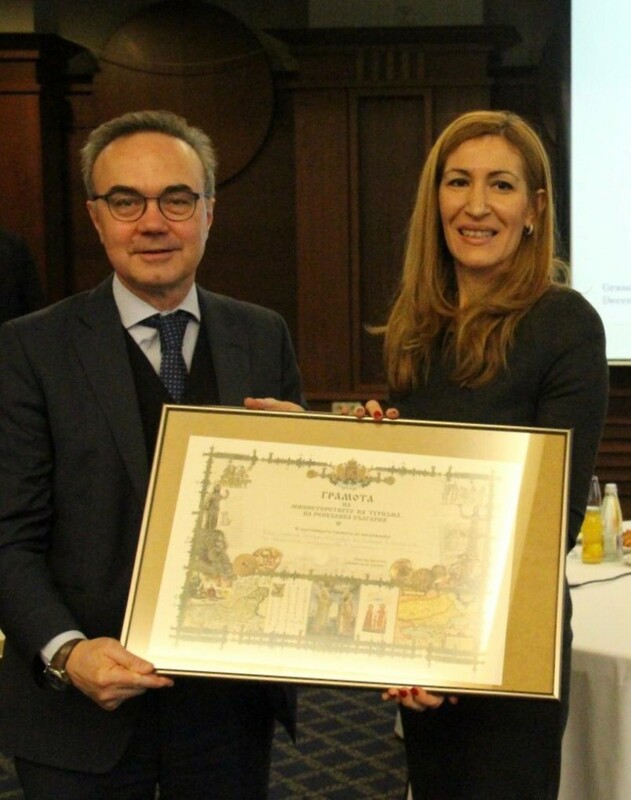 These achievements are the result of the cooperation of the ministry with the business and the active support of the administration for facilitating the services offered to the citizens and the tourist industry, said Minister Angelkova. She also reminded that some of the changes that her team has initiated in the Tourism Act and the Act on the Black Sea coast spatial development have already been effected and others are about to be finally agreed on. They provide an updated framework of the activity in this sector and implement the priorities of the government for reducing the administrative burden. The European package travel directive has been transposed into Bulgarian legislation, which also contributed to the development of the business. Minister Angelkova pointed out that the Ministry of Tourism is the first state administration that will present a new generation of electronic services for all registration modes it offers under the Tourism Act on 1st December. They are already accessible for the users though a specially developed platform. The electronic signature on the documents is now possible via face recognition using a smartphone after making an initial registration. The services can be used 24 hours a day, 7 days a week in all corners of the world. This saves time and money to the citizens and the entrepreneurs, said the minister. By March 2019, the electronic services of the ministry will have encompassed about 80% of the countries worldwide. 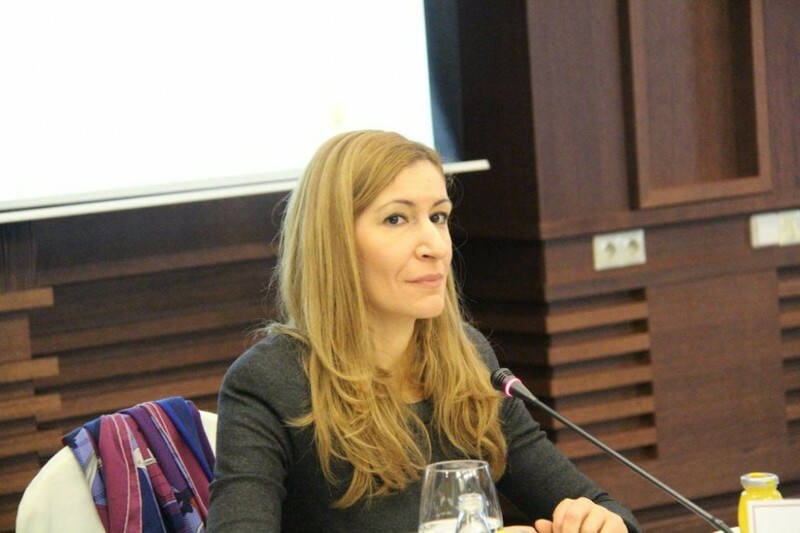 Minister Angelkova also informed that in January 2019, the institution will also demonstrate the demo version of the Unified tourist information system, which will make the tourists’ stay in Bulgaria even safer and will be very beneficial for the statistics, the movement of visitors in markets and the revenues in the sector. The data will be collected on the common information platform, which entirely complies with GDPR, and the personal data will be fully protected. 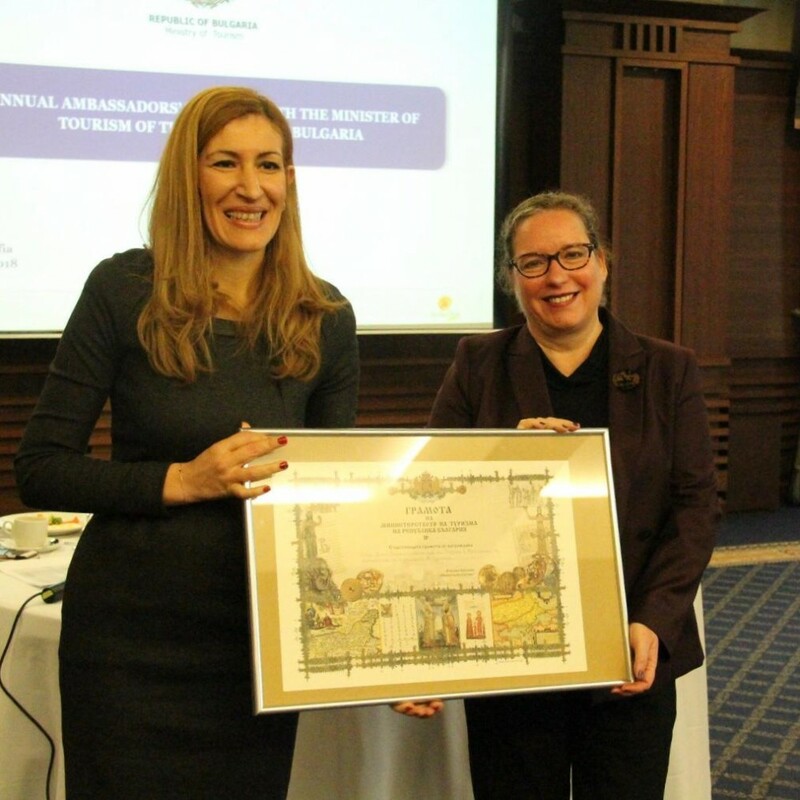 The quality of the offered product is crucial for our administration in order to be able to establish our country’s reputation, which attracts more and more solvent tourists, said Minister Angelkova. An identification code will be introduced for each hotel and restaurant, which will personalize its activity. A key element of our work is also the determination of the statute of the national resorts which are the face of Bulgarian tourism, the minister pointed out. She also described in details another major challenge in the industry – the preparation and the qualification of a sufficient number of executive employees to work in this sector. One of the short-term measures taken this summer in order to overcome this shortage was the employment of 7700 seasonal workers in tourism – twice as many as the previous summer. Such employees will be appointed during the new winter season. The ministry keeps working on the long-term measures for resolving this problem. 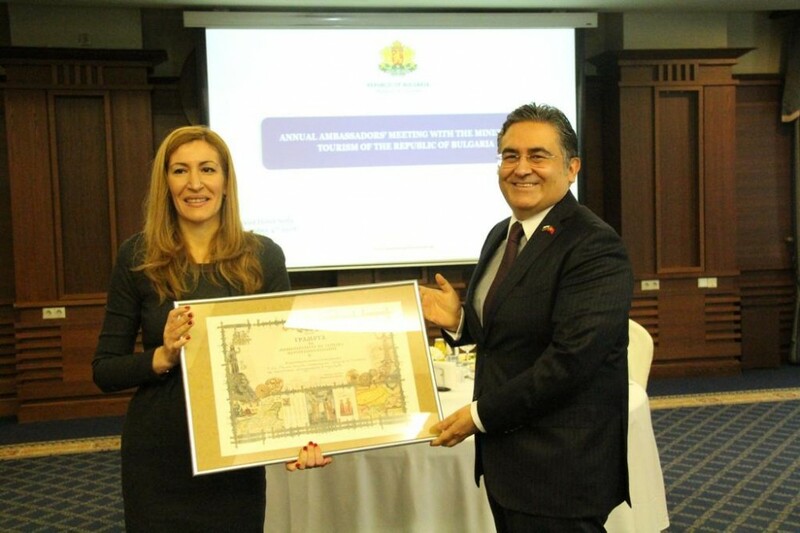 An agreement was signed with the Ministry of Labour and Social Policy for cooperation in this respect and work is currently being done on a pilot project with a Bulgarian-German vocational training centre. It will provide training to both unemployed and employed people who will acquire a qualification in the sphere of tourism, added the minister. 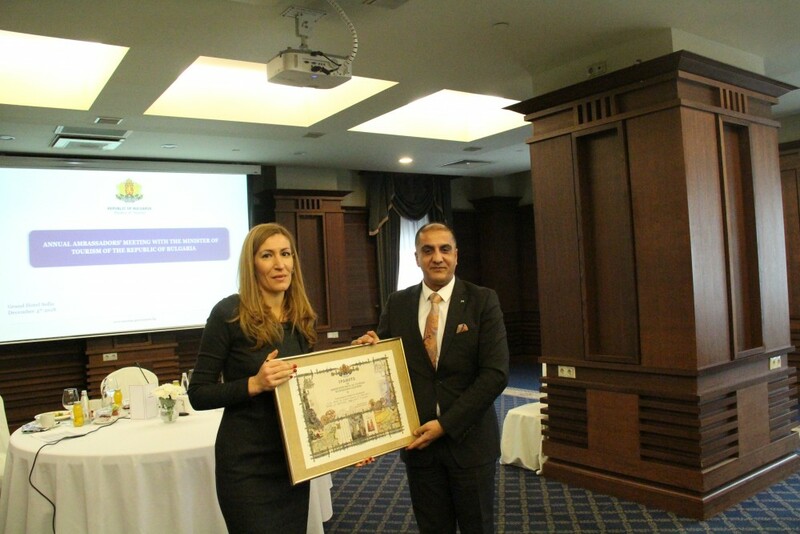 Minister Angelkova made an overview of the work done by the ministry for the popularization of the tourist potential of our country before the Bulgarian and the foreign visitors. After the success of the initially established 8 cultural-historic destinations, the tourist administration, in cooperation with the business and the municipalities, has developed 12 wine-culinary and 7 balneological and SPA destinations, which were widely debated at round tables organized around the country. Next year we are planning to develop destinations that will promote pilgrims’ tourism, said the minister. We are currently working with 11 countries from the region to establish a common Balkan route which will attract tourists not only from Europe but also from more distant places. 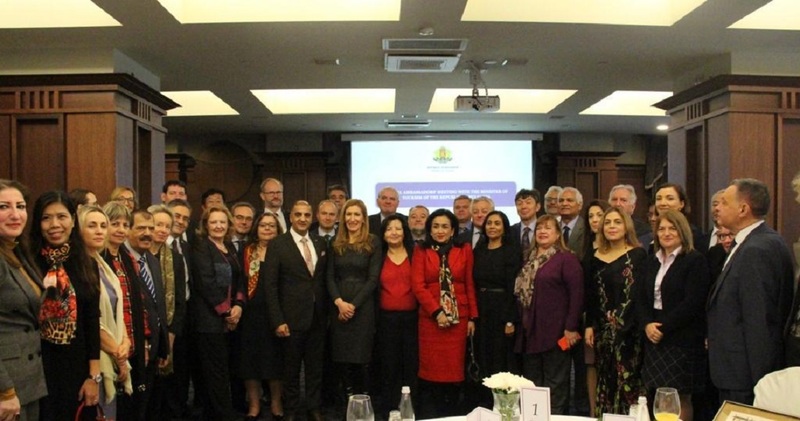 Bulgaria continues to participate actively in other international initiatives – under projects of the Organization of the Black Sea Economic Cooperation, the Danube Strategy and various projects of the World Tourism Organization. They will popularize even more actively our country as a destination offering a variety of services at an affordable price for the mass and specialized tourism as well, including culinary initiatives in the region. Minister Angelkova announced that a few investment rounds were being prepared in our country for leading companies in the sector. It is quite promising to work will all the countries showing interest in our country as a place for tourist visits and making business. Our marketing activities also contribute to this – the campaigns with leading global media, the presence in digital platforms, the popularization of our sights and services via the Internet platform I love Bulgaria, said the minister. She also stressed the significance of the dialogue with leading global tour operators and branch organizations from the partner countries, thanking them for the fruitful cooperation. When asked about the forthcoming year of Plovdiv as a European capital of culture, Minister Angelkova said that this extremely prestigious event will include over 500 performances presenting the region and the country as a cultural and historic destination. The minister said that efforts are constantly being made to satisfy the needs of the disabled tourists. We are doing our best, by means of urban planning, to ensure accessibility and comfort in the restaurants and hotels for the disabled people. A number of beach concessioners have already installed the appropriate equipment providing access to such visitors where the terrain allows it. Over 300 hotels have been inspected to find out if they have special rooms and other equipment ensuring the comfort of these clients, said Minister Angelkova. 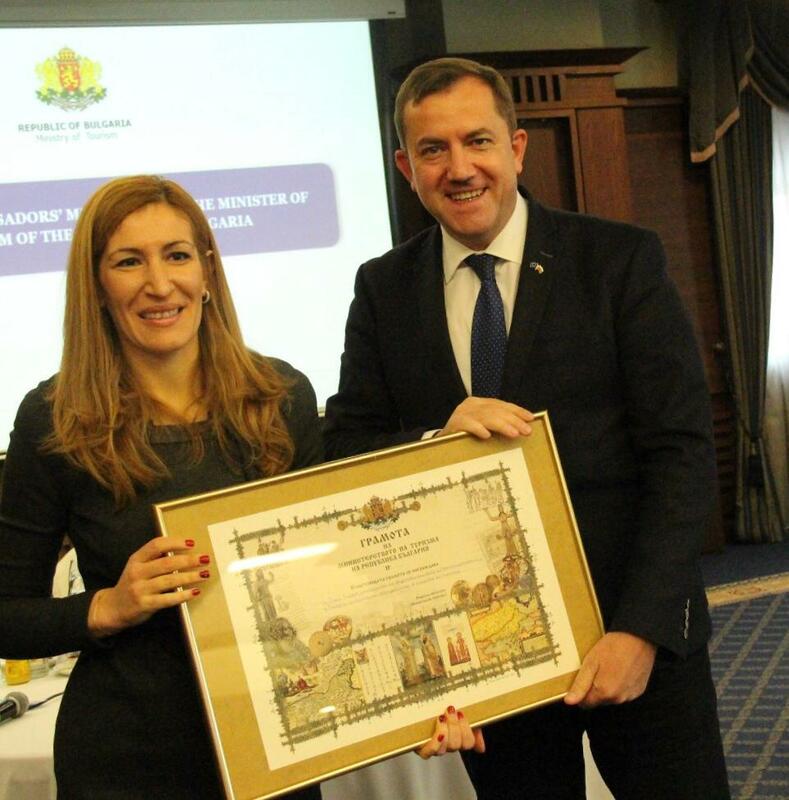 The diplomats congratulated Minister Angelkova and her team for the achieved great results in tourism and supported Bulgaria’s efforts to become an attractive four-season destination, emphasizing the role of the international partnership and the initiative of the industry. They declared that they will continue to work together for the sustainable development of tourism. 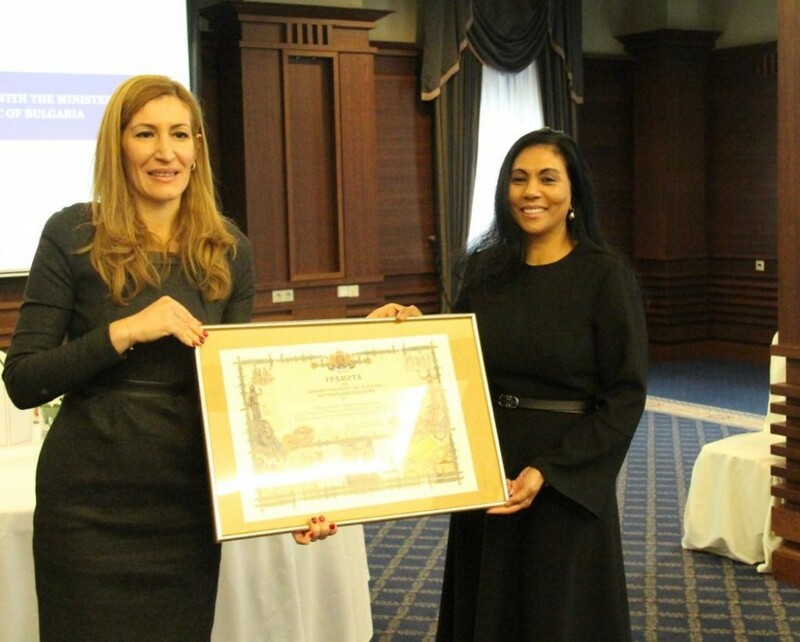 At the end of the meeting, Minister Angelkova gave each of the diplomats a charter for fruitful cooperation in the sphere of tourism. “You are not only ambassadors of your own countries, you are now ambassadors of Bulgaria to the world”, the minister stated explicitly.